BOULDER CITY, Colo.—Polyurethane tire developer Amerityre Corp. reported net income of $4,317 for the quarter ended Sept. 30 on 10.6 percent lower sales of $827,244. The firm's fiscal 2019 first quarter net income contrasts with a net loss of $63,655 in the year-ago quarter. Gross profit fell 2.8 percent to $266,232. When the company's preferred stock payout is considered, the net income turns into a $20,683 loss attributable to shareholders. Amerityre attributed the lower sales to decreased demand for polyurethane foam tires from an unnamed "significant" customer. The company is forecasting continued sales headwinds in the form of low farm income and depressed agricultural tire sales. 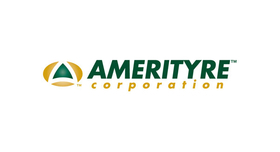 Amerityre said demand for its light-duty PU foam tires for golf and baggage carts continued to grow in the quarter, and that it expects this to continue. However, PU elastomer industrial tires contributed negligible revenue during the first quarter of fiscal year 2019. In particular, Amerityre said manufacturers of scissor lifts have refused to adopt or endorse its line of tires for this application, launched in 2016, "mainly due to higher profit margins on sales of existing rubber tire options versus our offerings." Despite Amerityre's claims of better economics for end-users using its scissor-lift tires, the company said it's finding that the dealer network is reluctant to switch to its tires without an endorsement from the OEMs. Despite the low acceptance, Amerityres said it intends to continue promoting these products in our target markets to improve market acceptance and establish market share. The company reported that several customers purchased samples of its Elastothane tires in the final quarter of 2018. These are more wear-resistant, and can carry heavier loads than its standard closed cell tires. "We expect more customers to order tires made in this formulation as the year progresses," the company said. Low farm income continued to hit sales in the agricultural division. "With the recent introduction of tariffs by China on U.S. farm products," the company added, "the prospects for improved agricultural prices is not promising."